Apparently, Sam and Dave were one of the best live acts in concert history, performing together until they split up in 1981. After watching this video, I agree. Think hits like “Soul Man” and “I Thank You”. 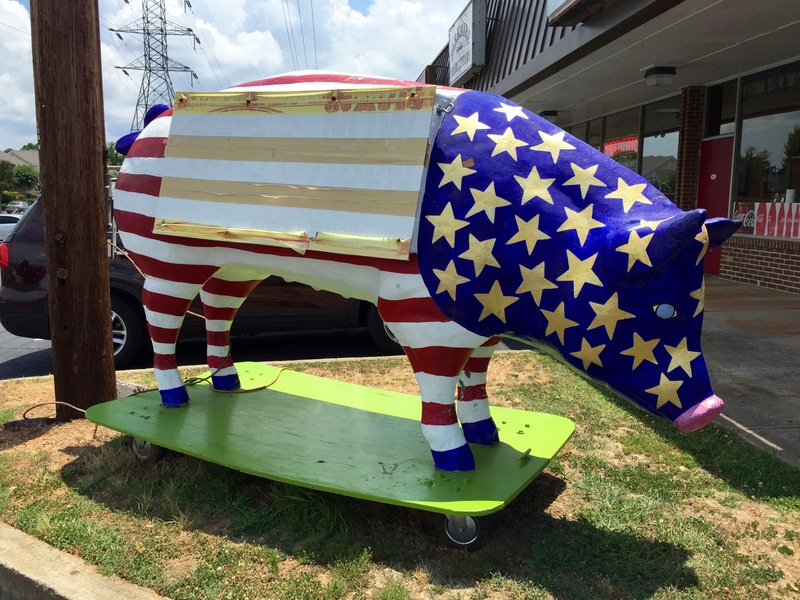 Apparently, they know something about BBQ as well. Oh, wait. This is a different Sam and Dave, who were in business up until they too split up, but in 2011. There were two stores at the time. 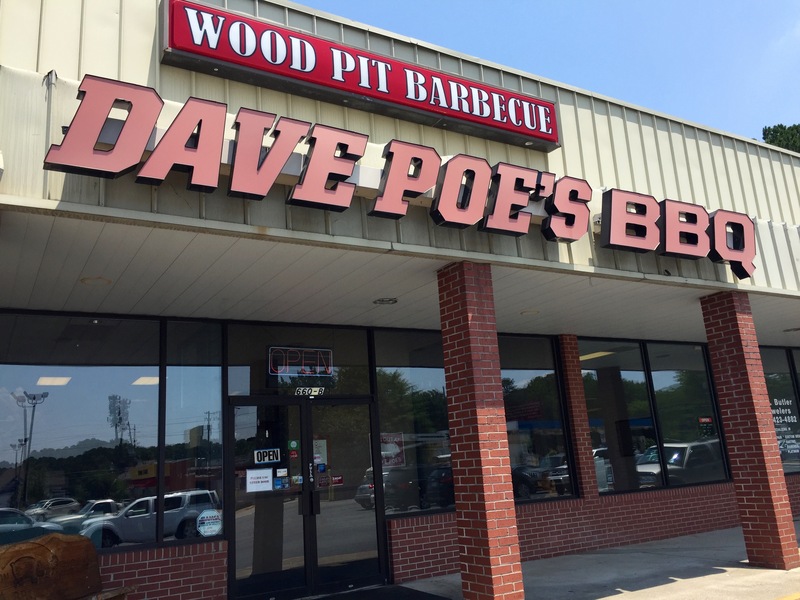 Dave got the West Cobb location. 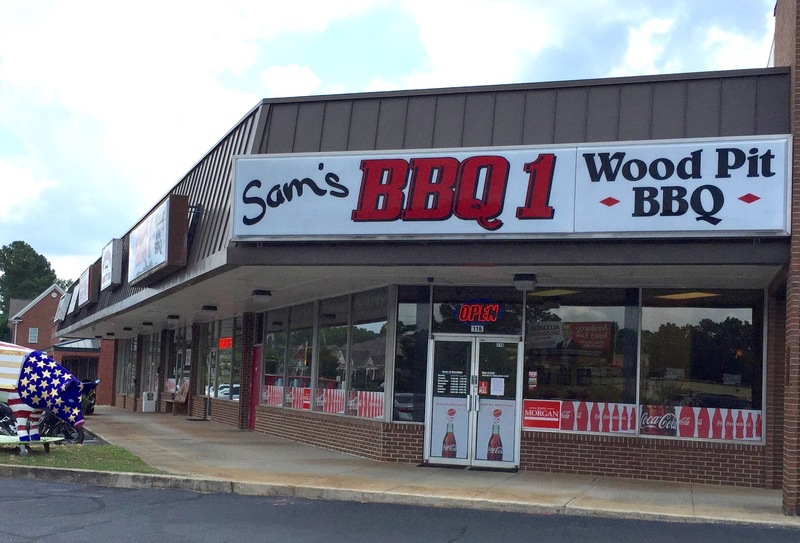 Sam got the one in East Cobb. 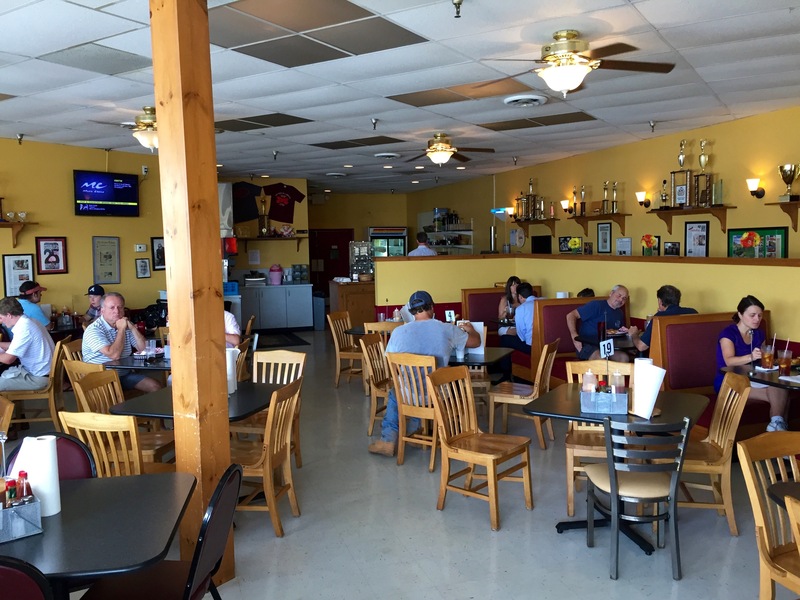 Both are located in old shopping centers. Dave’s is in worse shape, with many vacancies. If only Cobb County would tear down eyesores like this before building more retail space, but I digress. Dave’s is more subtle, just inside the door. It’s kind of like they used to be owned by the same people. As we will see, this is a recurring theme. At Sam’s, they bring you your food. At Dave’s, they call your number and you go get it. 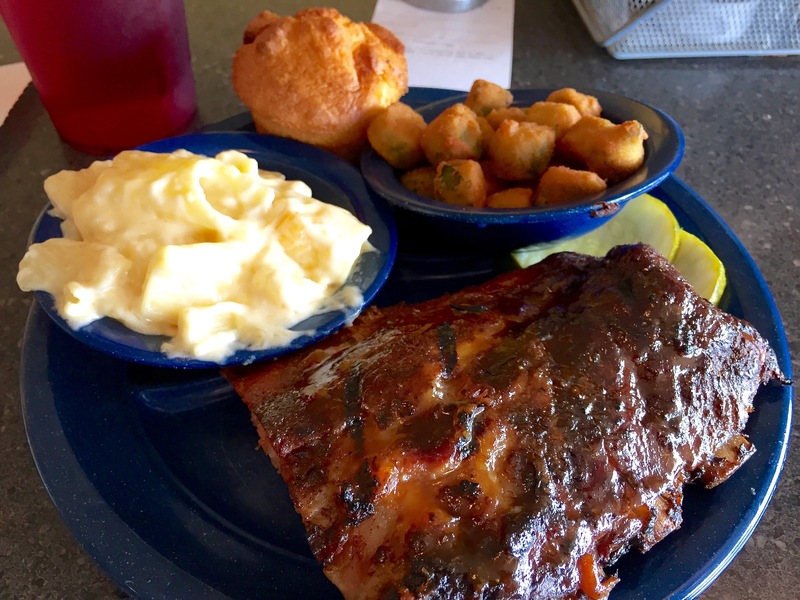 I decide to order the same thing at both places: ribs, fried okra, and macaroni and cheese. I judge a BBQ place by its ribs, and the best time to get the ribs is at lunch. They tend to be overcooked later in the day, so order them at lunch and enjoy responsibly. I prefer St. Louis ribs over the baby backs, but Sam’s does not serve St. Louis ribs. I get baby backs there. These are the meatiest, juiciest baby backs this reporter has ever eaten. They don’t fall off the bone, because if they did, they would be overcooked. I add a little sauce, but it’s not really needed. The ribs stand on the rub alone. There is a lot of love in the mac and cheese, which is made with real cheese. There’s no Velveeta in sight. The okra is fresh, hot and crispy. The sides are served in their own bowl, and real plates/cups are used here. As I walk into Dave’s, “Hold On, I’m Coming” is playing on the sound system. I am not making this up. The food looks very similar to Sam’s. Notice that it is served piled up on the styrofoam plate. The presentation at Sam’s is better for the environment–no waste. These are St. Louis ribs, and surprisingly are not as meaty and juicy as the baby backs at Sam’s. The mac and cheese is a little looser here, but the okra is firmer. For a small charge, you can sub out a corn muffin for your Texas toast at both places. (Does anyone ever eat the Texas toast?) Dave’s is spicier, adding jalapeño peppers. Both meals are excellent. I would go back to either. The people at Sam’s were a little friendlier than Dave’s. 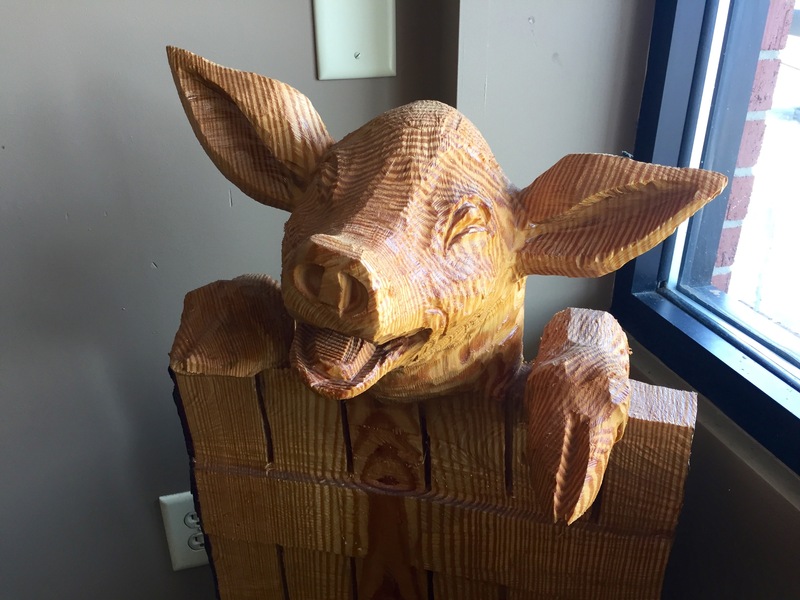 And the winner is: Sam’s by a snout. The ribs and mac and cheese are better here as is the presentation. 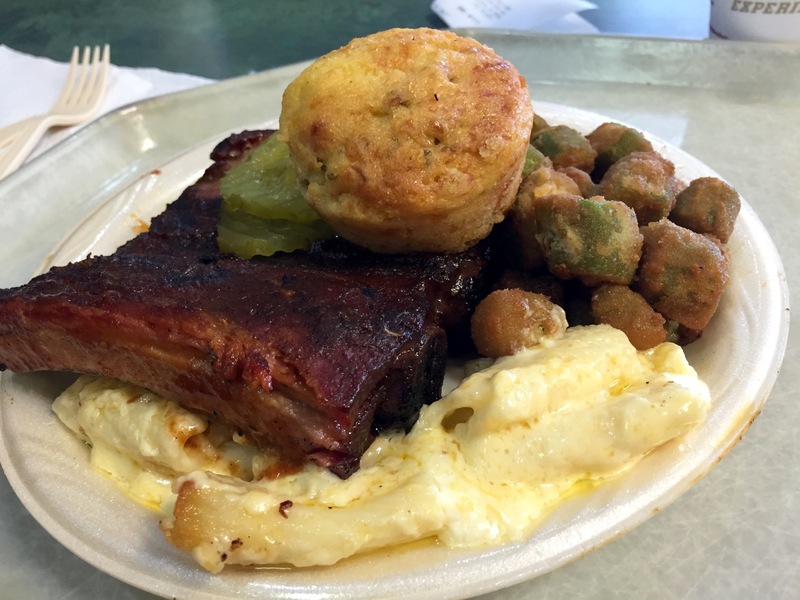 I liked Dave’s okra and corn muffin better, but hey, you should get more points for the BBQ in a BBQ joint. And the people at Sam’s were nicer, so I present them with the undisputed Date Night heavyweight BBQ championship of the world. Follow Date Night and never miss a night out. Just subscribe at the upper right corner of the page. This made me so happy. 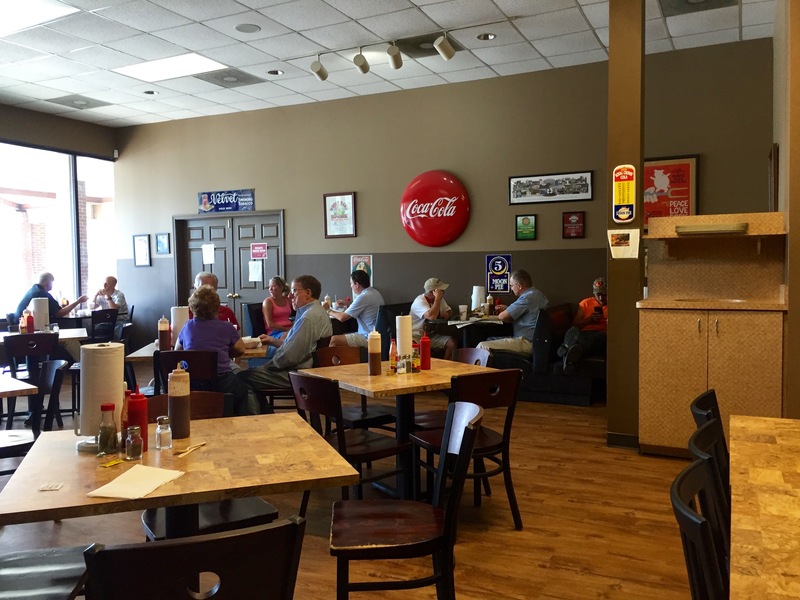 I grew up going to the original Sam & Daves (West Cobb). We loved their mac-n-cheese so much we recreated it all the time. Loved this post and I enjoy reading your blog. Glad you liked the post. Even happier that you like the blog! Thanks for reading us. Next Post Mezza Luna 2: A Sequel As Good As the Original?